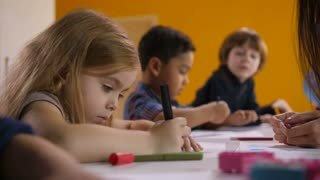 Search Results for "kids drawing"
Multicultural preschool children with mixed race teacher painting with hands using watercolors at drawing class. Diverse kids drawing on white paper, creating pictures with hands in kindergarten. 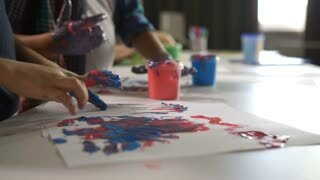 Close-up of asian preschool girl's hands stained in colorful paints doing hand painting on white paper with help of female educator at art class in kindergarten. 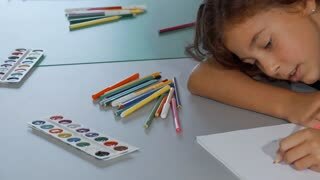 Kid drawing with finger at art lesson. Beautiful female mixed race teacher and little mulitcultural students working together in craft lesson. Positive kindergarten teacher helping diverse kids with drawing and painting in preschool class. Two kids enjoying talking and drawing at art class together. Little boy chatting to his classmate while drawing. Cute red haired girl coloring with her friend at school. Friendship, kids concept. Group of kids watching their art teacher drawing during class. Beautiful cheerful mature female teacher smiling, while drawing for her students at school. Education, creativity concept. 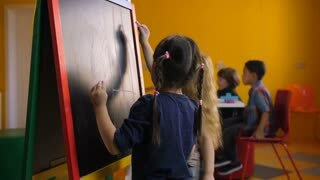 Playful multicurtural boys drawing with chalks at blackboard at preschool class and communicating while teacher busy with kids on background. Creative diverse cute kids learning in kindergarten. Young schoolboy looking bored while coloring his sketchbook. Cute little boy sitting alone at the classroom, drawing and coloring. 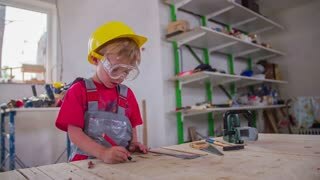 Boy working on art project looking tired. Kids education concept. Portrait shot of cute kids lying on the floor near christmas tree in blue room while draw something on the paper. Cozy mood. Side view. Engrossed multi ethnic boys drawing and painting with colorful chalks and felt-tip pen on easel board in kindergarten. Positive diverse kids expressing creativity and imagination at preschool class. 1970s: Teenagers with group of kids, boy talking. 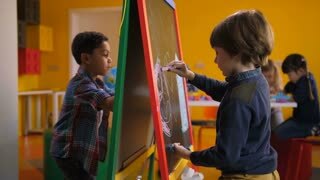 Kids drawing around table. Kids put bun on large model of hamburger. 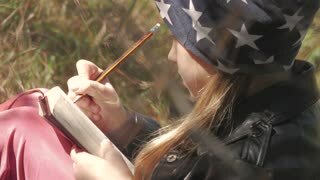 Girl drawing with pencil outdoors. Grandmother giving advice to her granddaughter how to draw, nature background. Importance of help and support for kids.